zvi a sesling appointed brookline's third poet laureate. 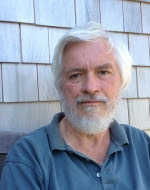 Zvi A. Sesling has been appointed to the position of Brookline Poet Laureate. Zvi is Brookline's third laureate and succeeds Jan Schreiber, whose term ended on March 31, 2017. Zvi's term is April 1, 2017 to March 31, 2020. THANK YOU TO FRIENDS OF THE BROOKLINE LIBRARY, CENTURY BANK, WILLIAM RAVEIS REAL ESTATE, AND BAY STATE FEDERAL SAVINGS FOUNDATION FOR THEIR SUPPORT OF THE 2013/17 POET LAUREATE PROGRAM. Jan Schreiber succeeds the town’s inaugural laureate, Judith Steinbergh, whose term ends on March 31. The Brookline Poet Laureate Program, established by the Board of Selectmen in 2012, seeks to enhance Brookline’s cultural life, promote awareness and appreciation of poetry and the literary arts, and connect members of the community through poetry. Judith Steinbergh, poet, teacher, and scholar, has worked as poet-in-the-schools since 1971, teaching students of all ages and providing Professional Development throughout Eastern Massachusetts. Judith was Poet-in-Residence in the Brookline Schools from 1986 to 1992 rotating through all grades K-12 and all Brookline schools, leading poetry worksh ops, partnering with teachers, creating curriculum, and co-coordinating readings and poetry anthologies. She also taug ht part-time at Driscoll School between 1985 and 2006 and continues to lead poetry workshops at several Brookline schools. Judith has published a book of poems for children, Marshmallow Worlds with Cary Wolinsky, books of poems for adults:Motherwriter; A Living Anytime; and Writing My Will; three textbooks on teaching poetry writing to children: Beyond Words; Writing Poems with Children (co-authored with Elizabeth McKim); Reading and Writing Poetry, Grades K-4 (Scholastic Books); and Reading and Writing Poetry with Teenagers (co-authored with Fredric Lown). Judith Steinbergh was selected as Brookline’s first Poet Laureate for a term of two years in April 2012.